Lena F. MacGuffie, 96, of Nampa, Idaho passed away on Tuesday, October 23, 2018 surrounded by her family. Lena was born on August 4, 1922 in Wallace, Idaho to John and Josephine Dire. Lena grew up in Wallace and graduated from Wallace High School in 1939. She met and married Joseph Vernon MacGuffie Jr. in 1941. 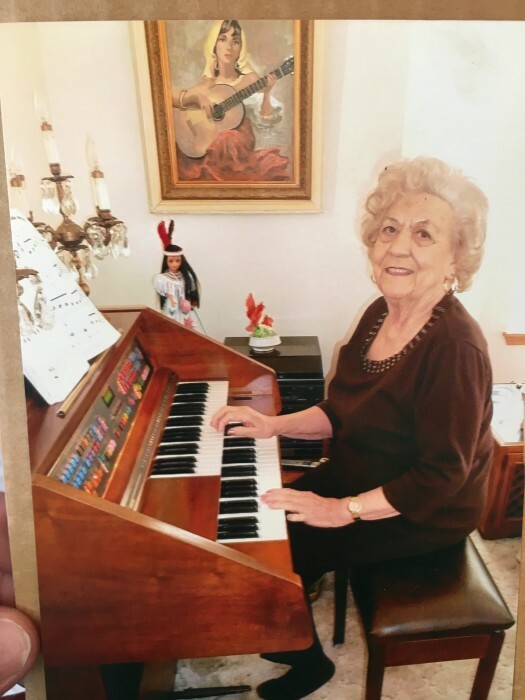 Lena loved to travel, she enjoyed bowling and golfing, she loved playing her organ, and most of all dancing. She loved spending time with family and friends. Lena is survived by her children: Charlotte Salisbury of Apache Junction, Arizona, Jerry (Pam) MacGuffie of Orofino, Idaho, Bill (Diane) MacGuffie of Arboles, Colorado; her brother, Dr. William F. Dire of Wallace, Idaho; 10 grandchildren and 17 great grandchildren. She is preceded in death by her husband, parents, grandparents, and one brother. There will be a memorial service held at 11:00AM Friday, November 2, 2018 at Alsip and Persons Funeral Chapel (404 10th Avenue South, Nampa, Idaho 83651). We would like to thank, St. Luke’s Hospice, for everything they have done.